VietnamStay provides you a comprehensive list of things to do in Siem Reap which includes all the major sights and activities. Angkor Wat is a must and the first thing to do during your Siem Reap trip as well as Cambodia holiday as a whole. Constructed in the 12th century by the Khmer people, Angkor Wat was recognized as the UNESCO World Heritage Site for its unique temples and structures. Stretching over some 400 km2, including forested area, Angkor Archaeological Park contains the magnificent remains of the different capitals of the Khmer Empire, from the 9th to the 15th century. They include the famous Temple of Angkor Wat and, at Angkor Thom, the Bayon Temple with its countless sculptural decorations. 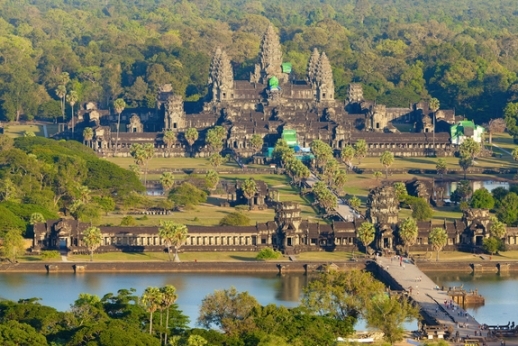 Scores of temples - some restored and some still overgrown with jungle vines - make up a mythical and legendary Angkor Wat. The Prek Toal Bird Sanctuary has become one of the most important breeding grounds for endangered water birds in Southeast Asia. 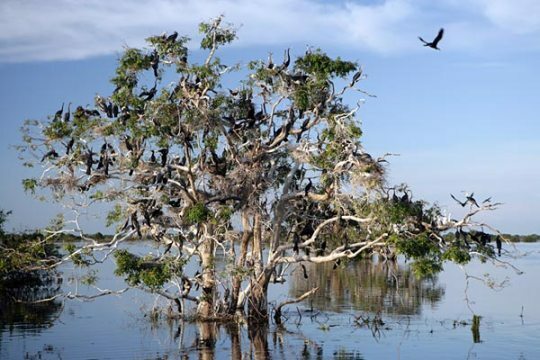 Located in the marshes of Tonle Sap Lake, this bird sanctuary provides a chance to tour by boat and see rare birds outside of captivity. With a considerable number of rare breeds gathered in one small area, Prek Toal includes the huge lesser and greater adjutant storks, the milky stork and the spot-billed pelican. Even the uninitiated will be impressed, as these birds have a huge wingspan and build enormous nests. This is surely a must thing to do in Siem Reap! To visit Prek Toal, you can book at your guest house or hire a boat from Phnom Krom/Chong Khneas boat dock (US $35 - $45 return). You’ll be dropped off at the Prek Toal Environmental Research Station (entrance fee: $5), where you can pick up more information about the area’s wildlife and plant life. 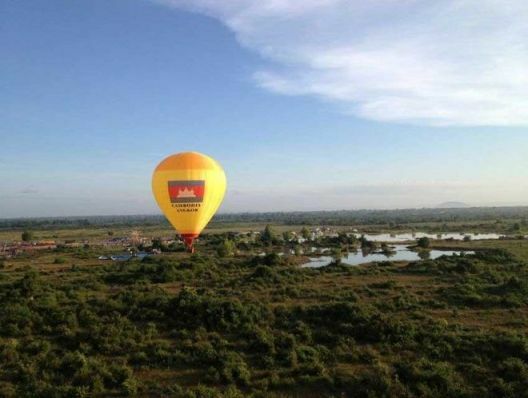 Ballon ride is a new and exciting way to appreciate the magnificent Angkor Wat from the sky. Seeing the site from 600 feet in the air gives a new perspective on just how massive the temple complex really is. Balloon rides start at US $35 and prices go up for longer tours. You’ll find the balloon on the road from the airport to Angkor Wat, about a short distance from Angkor Wat’s gates. Founded by a former child soldier whose parents were killed by the Khmer Rouge, the Cambodia Land Mine Museum is a real piece of Cambodia away from the tourism glam. The war of the Khmer Rouge and Vietnam left millions of land mines and unexploded objects in Siem Reap and it became safe enough for tourists to visit in 1990s only. The Museum is staffed by victims and orphans of mines. Retired soldiers supervise the range and continuously harass you to try the latest and greatest in firepower, including belt-fed machine guns. Those with enough money and guts are even invited to fire an old, soviet-made rocket launcher! The range can be found along Road 67 to Banteay Srey (look up their location on Google Maps). Don't forget to this thing to do in Siem Reap! The Angkor National Museum houses thousands of artifacts recovered from Angkor Wat and the surrounding areas in an impressive building. Art, statues, and well-planned video presentations make this museum well worth the US $12 entrance. 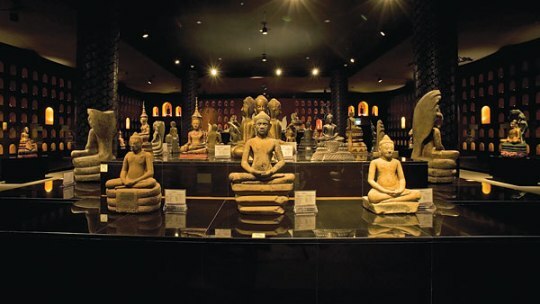 Before visiting Angkor Wat, you can take a tour in the Angkor National Museum to get an insight into the history of the Khmer civilization which will enhance your visit to the temple ruins. 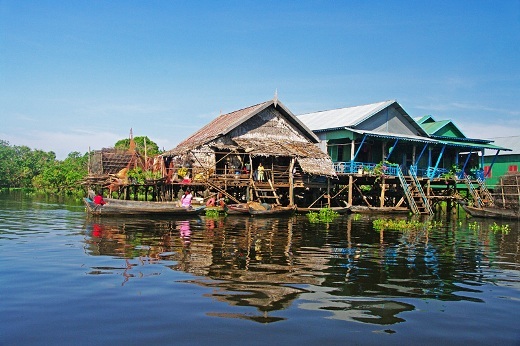 Another things to do in Siem Reap is visitng a floting village on Tonle Sap Lake. About 13 miles from Siem Reap, Kampong Phluk is a fishing village constructed on stilts in the swamps around Tonle Sap Lake, the largest lake in Cambodia. Only a handful of tourists make the journey by boat or bus to Kampong Phluk, which has helped the village retain much of its authenticity. This is the place to go to see daily Khmer life away from the influence of heavy tourism. Siem Reap suffered horribly under the Khmer Rouge, and the area’s victims are commemorated today in this monastery. A glass-walled stupa on the premises holds a mass of bones belonging to massacre victims. Like its counterpart Tuol Sleng in Phnom Penh, Wat Thmei provides a stark reminder of the insanity that ruled Cambodia in the 1970s. It’s not all bones and death here, though; the large monastery here houses a good number of monks and orphans under their care. Wat Thmei can be found about 540 yards west of Angkor Wat, on the left fork on the way out. Tuk-tuks are the local taxis, and the easiest way to get around Siem Reap. You can get anywhere in the main city for US$2, while good negotiators should be able to talk drivers down to a dollar. 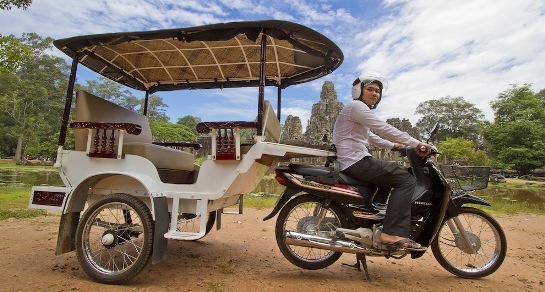 Tip the driver well and you'll have a friend for life, plus an eager tour guide who will show you the best of Siem Reap. It is always hot in Siem Reap with the highest degree during the months of March, April, and May. Why not heading to a swimming pool to escape the sun and oppressive, jungle humidity? Aqua swimming pool is the best place to cool you down and an exciting thing to do in Siem Reap that you should add to your buckle list when traveling to this city. Don't let the outside appearance fool you, Aqua provides a great environment for cooling off and meeting people at the same time. For US $2 a day you can lounge by the pool with a drink in hand.